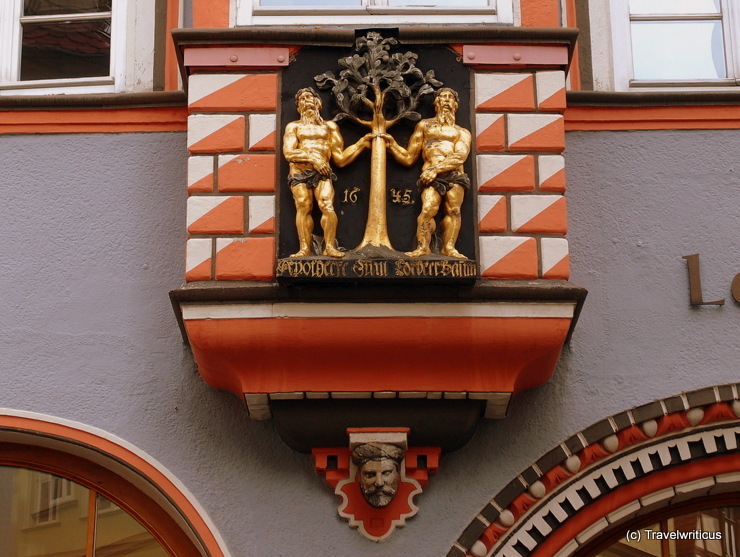 This relief displaying a laurel tree and two men is fixed at a 16th-century building with the address Herrenstraße 2 in Naumburg (Saale). The building houses a pharmacy named Lorbeerbaum Apotheke (Laurel Tree Pharmacy). This entry was posted in Pharmacies, Signs and tagged Germany, Naumburg (Saale), Saxony-Anhalt by Travelwriticus. Bookmark the permalink.